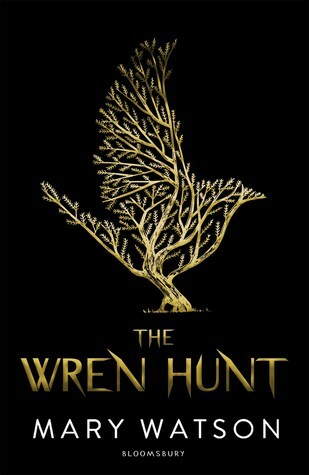 Netgalley approved me to read a review copy of The Wren Hunt by Mary Watson. The cover really drew me in and the plot sounded similar to other dark fairy tales I love. I’m so happy to share my thoughts on this twisty, earthy, spooky book! This book spins a beautiful and magic web in your mind. You’re dropped right into the thick of the chase described in the synopsis. You quickly become familiar with the adversarial dynamics between the Judges and the Augurs. These at-odds magical groups reminded me a bit of the Aglionby boys and Blue Sargent from The Raven Cycle. Throughout the novel you learn a lot about the history and formation of each group, and also how they draw power from natural objects (nemeta) to use their abilities. It seems obvious from the beginning that these groups have more similarities than differences. It’s so interesting to see how their conflict plays out. Wren is named after a bird, and her druid roots run deep. She had a powerful connection to nature, and her abilities allow her to see patterns in things other people miss. I thought she was a really interesting character, and she was very realistic and flawed. Even though she makes some choices I didn’t agree with, she did have her reasons. She does suffer from a tad bit of insta-love, but again it reminded me of the dynamic between Blue and Gansey in The Raven Boys. Even though the two were obviously drawn to each other, there were a lot of reasons for Blue to want to keep her distance. The same is true in The Wren Hunt. The plot was my primary point of criticism in this book. While I was interested, some chapters felt repetitive, or a bit wordy. I thought the story could have worked well with a slightly shorter page count. There were some elements that were really unbelievable as well. Essentially, you need to be able to buy that one of the most powerful members of the Judges couldn’t pick up on an Augur in their ranks. I never believed this was plausible, though every Augur claimed they did. Ultimately it didn’t both me too much, but issues like this popped up a few times. Overall, I really loved the story and found myself lost in the dark and murky vibes of this druidic fairy tale. I love finding new Irish Folk Myths, and this one was really interesting! If you liked books like The Call or Wink Poppy Midnight, I would definitely recommend The Wren Hunt to you! I agree with all the points! I loved the Irish vibe too. Will definitely put this book on my to read list!